At the IRIGC-TEC meeting, Rogozin and Swaraj will also finalize a number of agreements to be signed during the Putin-Modi summit. The India-Russia summit at the highest political level is being held in October, rather than December, because Putin will be in Goa for the 8th BRICS summit. 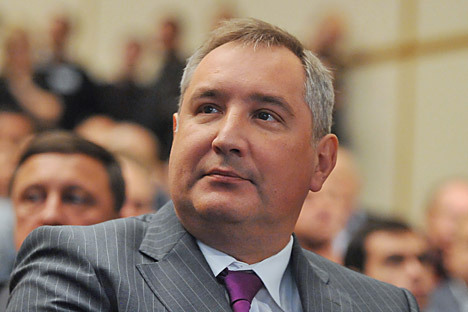 This will be Rogozin’s fifth visit to India since the NDA government came to power in 2014. Most recently, he travelled to New Delhi in August and met with Modi to discuss bilateral ties and finalise the agenda for the visit of the Russian President, both for the India-Russia bilateral and BRICS summits, in Goa. In the civil aviation sector, Russia has declared its readiness to participate in “Make in India” to develop Indian technical and production capabilities in this field, and potential supplies of the jointly produced equipment to third countries. “Andhra Pradesh will have both American and Russian participation in nuclear energy generation, but the Russians will be the first to ‘Make in India’ in the nuclear sphere in Andhra,” Sitharaman said recently.